Dickie King Construction has the experience and capablilities to do complete demolition services and rebuilding services. 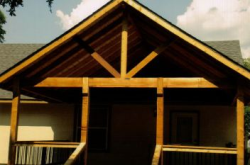 We have over 30 years of Home Building, Remodeling, Demolition and Masonry experience and we are located right here in Bastrop, TX. References Available! Please contact us! Call Dickie King Today for all of your contracting and demolition services.